and you get six organic free-range eggs. Usually it’s no big deal. Sometimes, though, the dispatchers get it spectacularly wrong. 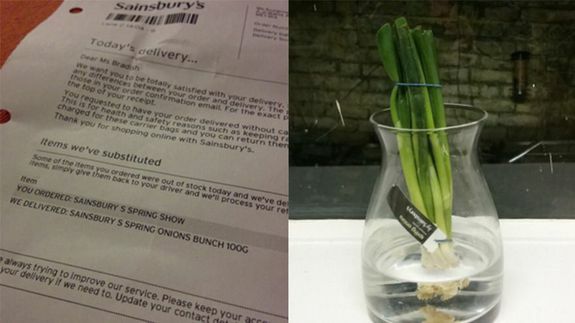 ‘s to brighten up her home, and was sent 100g of spring onions instead, according to a delivery note she tweeted Monday.